Welcome to Whale Harbor, Islamorada's premier dining and entertainment facility featuring: All you can eat seafood buffet Elegant Brazilian steakhouse Wahoo's waterfront bar & grill World class charterboat fishing fleet Jet ski rentals Kite-surfing lessons and more! The perfect place for family dining and fun, Whale Harbor has something for everyone. Recently remodeled and revamped, the Whale Harbor buffet features a world class menu that includes all you can eat shrimp, crab legs, oysters, stir-fry, sushi, paella, and much more. 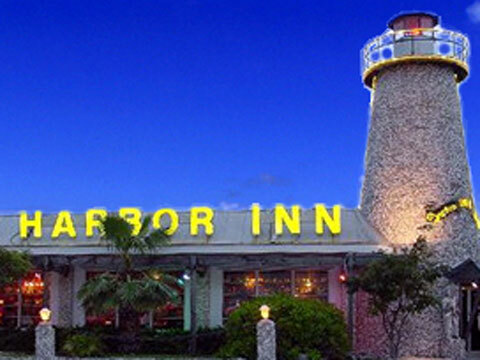 Featured on the Food Network as one of the nations' best seafood restaurants, the Whale Harbor seafood buffet offers one of the greatest dining experiences in the Florida Keys. Click on the image to find out more.Now open at Whale Harbor, Braza Lena presents the latest addition to our family of fine restaurants. Braza Lena is a Brazilian style steak house offering a fresh gourmet salad bar, churrasco style meats and top notch service. Offering 16 different cuts of meat including Filet mignon lamb chops different cuts of sirloin along with pork chicken and sausage. Click on the image to find out more.If you are looking for a good drink and a great meal while enjoying a view of the Atlantic Ocean, then look no further than Wahoo's Bar & Grill. Spectacular views overlooking the Whale Harbor Marina can be enjoyed along with a delicious meal. Come watch our fleet of charter fishing boats come in at 4:00 pm with their catch!